Screencastify Premium licenses can be assigned, reassigned, or revoked any time from the License Manager, which you can access at screencastify.com/user/licenses. You may only assign licenses to email addresses that are tied to Google accounts. 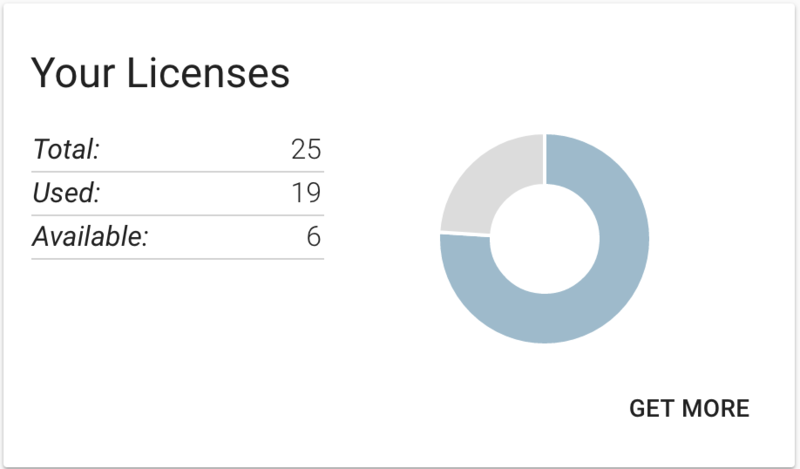 The first thing you'll see in the License Manager is the number of total Premium licenses you have, how many have already been assigned, and how many are still available to assign. Licenses can be assigned either manually or automatically (based on your email domain). When you assign someone a Premium license, they will not be automatically notified. Send them an email with the good news! You can also bulk upload a list of emails that you want to assign licenses to. Click here for step-by-step instructions. Check the box next to "Automatically assign licenses to your (Google Apps) domain users"
Now, every user who logs in to the Screencastify extension will be granted a license on a first come, first serve basis until you have no licenses remaining. If you have a site-wide license with more than one unique domain and want to automatically assign licenses, contact us. When a user is assigned a license (either manually or automatically), their email address will appear under the Users section in the License Manager. To remove their license, click the trash can next to their email. That will free up a license, which you can then reassign to another user.